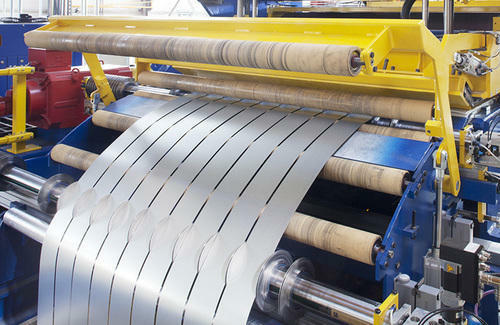 We offer Slitting Lines for Stainless Steel, which are superiorly used for cutting and slitting stainless steel, composed of coil that is one for uncoiler and one for recoiler, uncoiler, coil sheet guider, leveling and pulling roller, pre-cutter, loop 1 device, scrap coil winder and dampening frame work. It is not only used for the steel cutting, but it can be even used more making pipes too. A lot of pipe production lines generate coils while using our machines. 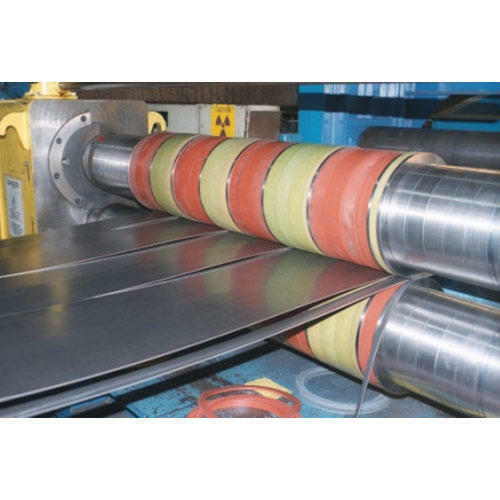 We offer the slitting line for stainless steel with advanced and robust design, which can fit various sizes of steel coils and can be easily adjusted to cut coils into needed thickness. The Slitting Lines for Cold Rolled Coils offered by us are utilized for forming cold rolled coils in different forms and designs. We provide slitting lines specially built to handle this metal which have better surface quality, with more precise size and also have good mechanical property which has remarkable formability. The slitting lines, we offer are acknowledged to be of premium quality as it is featured with higher precision and improvised productivity. Our purposely designated Slitting Lines for Copper & Brass Strip are especially designed for tearing these metals for manufacturing strips. It can perform multiple tasks such as uncoiling, recoiling and slitting work. They are designed with latest techniques and best grade materials to ensure sturdy body. 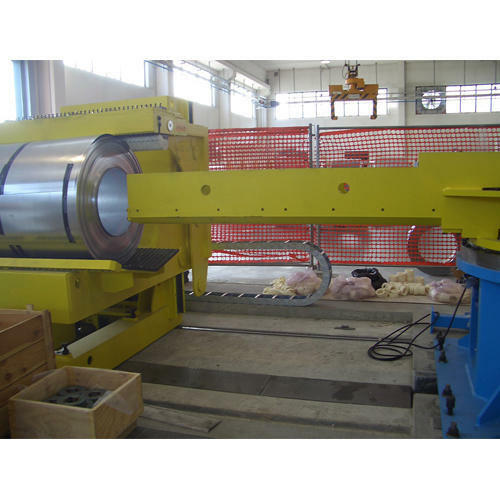 The machine consists of hydraulic shear, rotary shear, scrap winder, breaking and stretching unit, coil loading car, uncoiling machine, leveling machine coil stripper car electric system and other related accessories. Our products are highly trusted and reliable all over the slitting making market and are known for their capacity to slit thicker copper and brass with ease with the help of its high standard and use of quality spare parts.